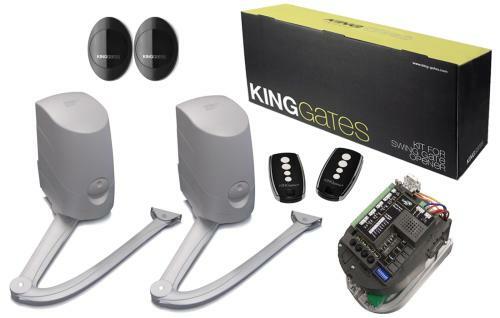 Jet 230 LT Swing gate kit is complete with a 230volt ram motor and capable of handling up to 3m / 600Kg gate leaf gate.The kit is complete with a motor all the brackets required, override keys housed in a strong aluminium casing. 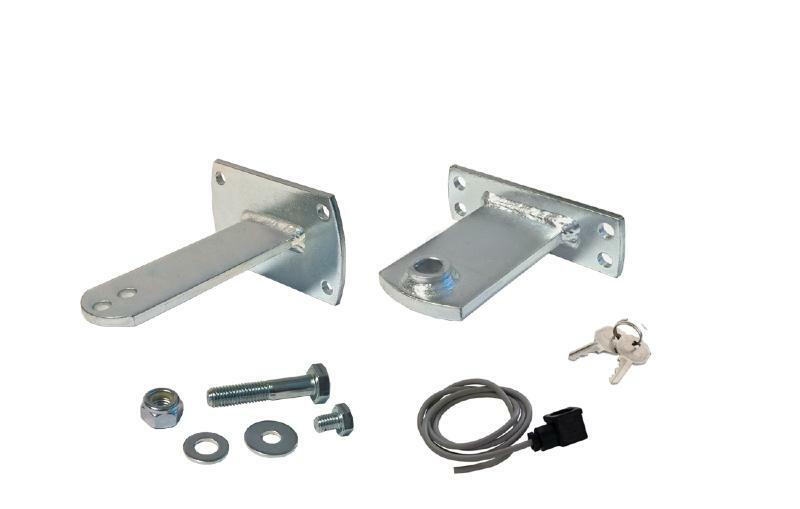 Note: No gate stops are required for the Jet as they have a adjustable mechanical stop included but an additional pair are required if both open and closed stops are missing. 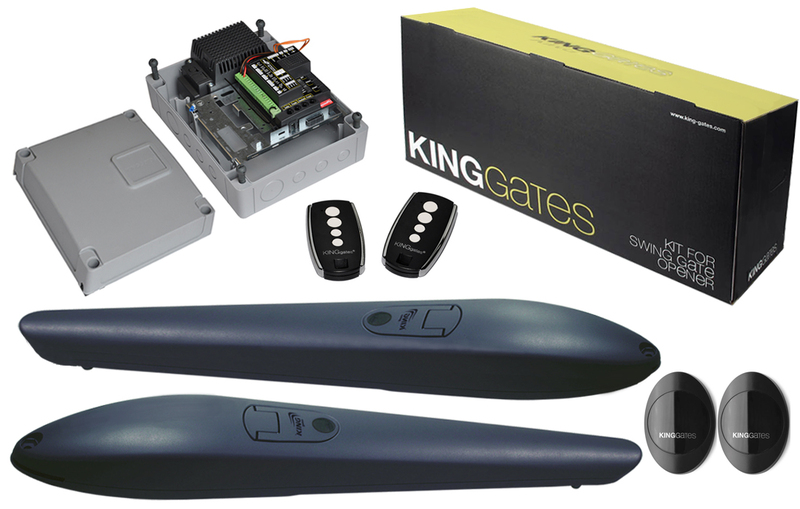 See below.The controller is housed in a I.P housing complete with power supply, auto programming, Built in radio receiver, Slow down for the end of travel, Obstacle detection, Pause time, Pre lamp, Pedestrian opening, Safety edge input and much more. Complete with. A pair of Infra red safety photo beams. Two 4 Channel radio transmitters.